Dame Elizabeth Taylor wasn't the only famous actress with a penchant for major bling. Italian actress Gina Lollobrigida, who reached the height of her international fame in the '50s and '60s, sold off numerous pieces of her jewelry at Sotheby's in 2013. 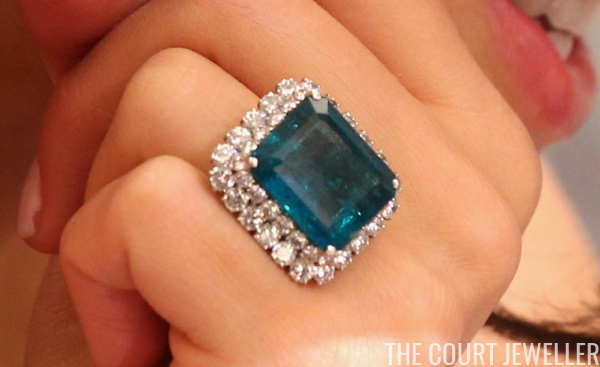 The auction included today's piece, a stunning diamond and emerald ring by Bulgari. 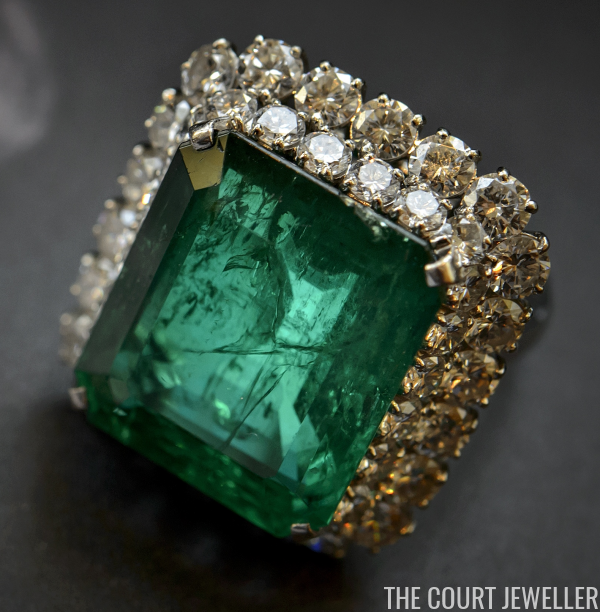 The lot notes from the auction describe the ring as follows: a "step-cut emerald weighing 16.62 carats, framed by two rows of brilliant-cut diamonds." The ring was made by Bulgari in 1964. Lollobrigida acquired the ring in the 1960s. 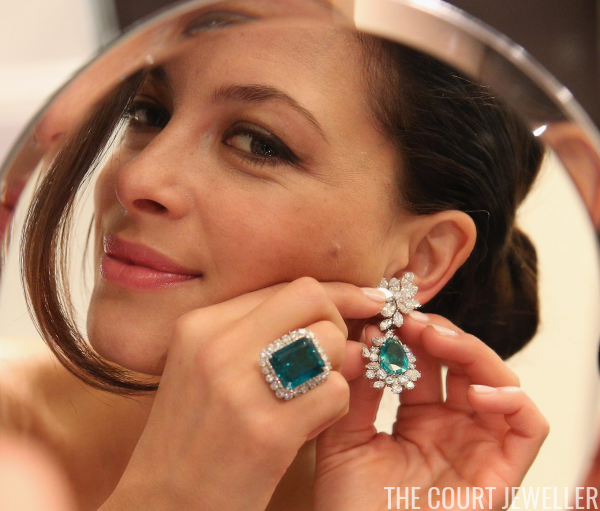 She also owned other pieces of emerald jewelry from Bulgari, including a pair of diamond and emerald earrings and a distinctive diamond and emerald brooch. She's wearing all three pieces in the photograph above, which dates to June 1967. You'll note the ring on her left hand. The brooch is fastened to her Pucci headband. Lollobrigida is still alive today, but she's largely given up the spotlight in favor of a quieter life as a sculptor. In April 2013, she auctioned off numerous pieces of her jewelry, including various Bulgari gems, to help raise money for stem cell research. This ring sold for approximately $181,000, just above the high end of the auction estimate. After the sale, Lollobrigida explained, "It now gives me great pleasure to see that these jewels will create a legacy which will live on after me and continue to do good."